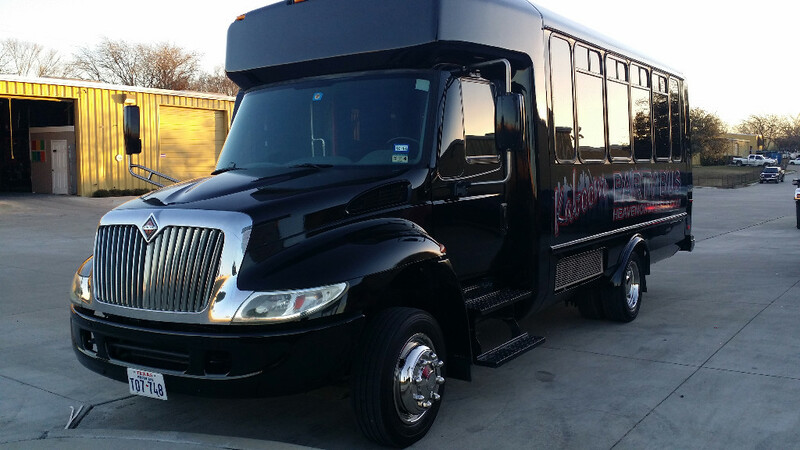 Known around DFW as the “Kaboom” Party Bus, this vehicle is ready to take up to 22 individuals around town in style. 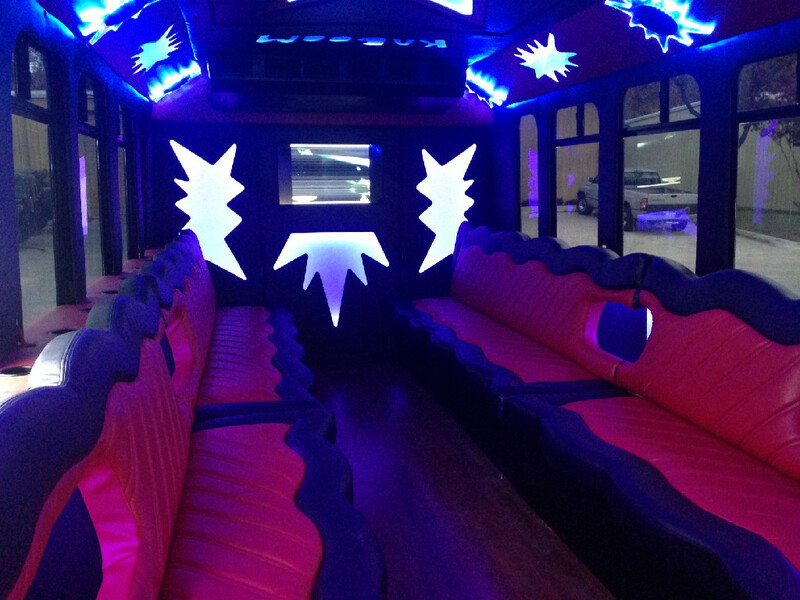 Featuring two very large interior LED Smart TV’s, hardwood floors, disco ceiling with changing lights, and an insanely high energy entertainment system featuring output speakers with subwoofers and amplifiers. People will hear your group coming from miles away. 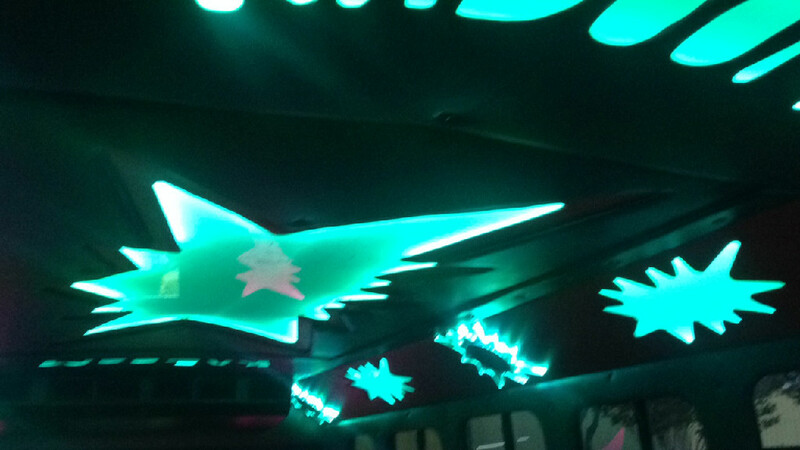 Contact Dallas Limos reservation department to reserve the “Kaboom” Party Bus for your next event or night out on the town. 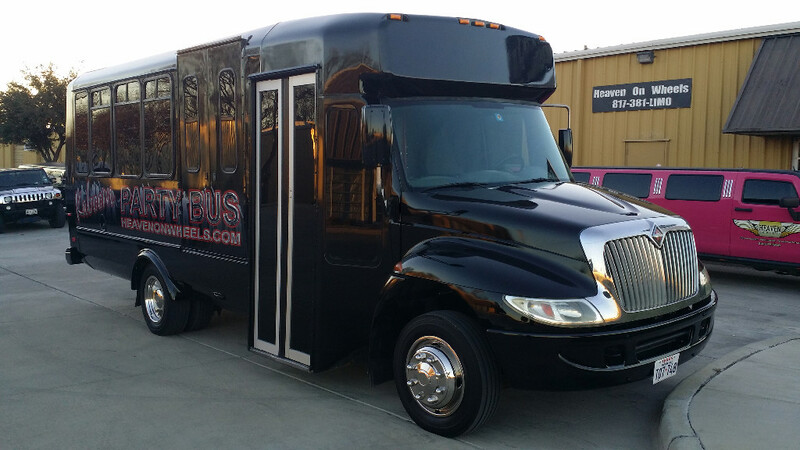 Wet Bar and Behind the Back Bar Pockets with Cooler Area for Your Drinks, Champagne Buckets, etc.